At ULB-Dry Waterproofing, Inc. we provide a wide range of state-of-the-art polyurethane and silicone sealants from the best manufacturers across the globe. No matter the size of the job or color needed, we are here to provide our expertise and experience to solve your problem. 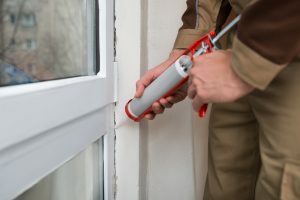 If you need your door or windows re-sealed, driveway or sidewalk joints caulked we will be more than happy to meet and advise you. Contact us today and find out what ULB Dry can do for you!